Jaipur is a Beautiful Juxtaposition of The Archaic And Modern, And Has A Lot to Offer to Its Travellers. 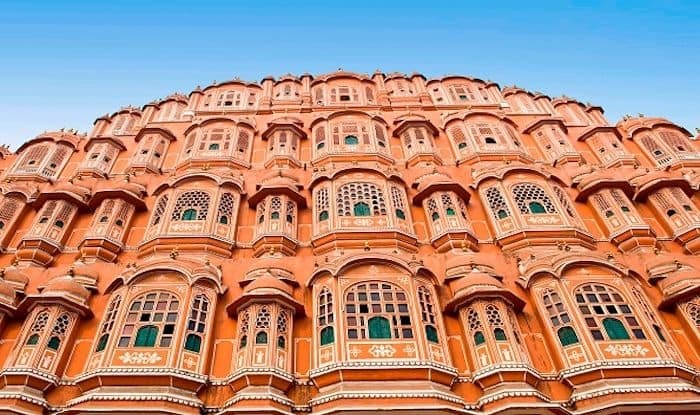 Jaipur, also lovingly known as the Pink City, is so rich in heritage, architecture and culture that once you step foot inside the city, you would never want to leave. However, if two days is what you have in hand, so be it. You can get a feel of the city by strategically covering all the important attractions. Whether you’re hanging out solo or in a bunch, you’ll never feel unwelcome here. From grand palaces, historic buzzing streets, to delectable Rajasthani fare and the best shopping bargains; Jaipur is a delightful juxtaposition of its modern offerings and centuries-old traditions. Start your first morning here by covering the most important landmarks such as Hawa Mahal and City Palace that are literally a few kilometres apart. Although they’re touristy places, they give you a fair idea of how the royals lived in the city bak in the day. Then come out and have a luxurious stroll through arguably the busiest street in Jaipur – Johari Bazaar. This is where you get to shop to your hearts content; haggling and buying the most colourful of trinkets that you’ll ever see. Grab some breakfast or lunch at the iconic Laxmi Mishtan Bhandar on the same street – don’t let the shady exterior discourage you; it’s been around for nearly 300 years. In the evening catch a Bollywood movie at the iconic Art Deco Raj Mandir Theatre. It’s a special experience to see how people enjoy themselves here with a tub of popcorn as opposed to swanky theatres in high-end malls. Talk about the little pleasures of life. Begin your next morning by visiting Amer Fort (30 minutes from the city) – the complex of palaces and fortified structures that is easily more than 400 years old, is done in exquisite sandstone and marble – an absolute visual delight that transports you back in the day. Start early so you won’t have to deal with the crowds later on. For lunch, head to Café Palladio (sister restaurant to Bar Palladio) the serves up Mediterranean and Middle Eastern specialties in a gorgeous dining room with sunny interiors. This is one of the most elite places in the city to grab a nicely done meal. If you want to savour some street snacks that Jaipur is so famous for – there are plenty of places to visit such as Masala Chowk that sells specialities like Dahi Papdi Chaat, samosas, and sweet treats. You cannot fly out of the city without having sampled the lassi from the Lassi Walla on MI Road. You can enjoy your evening lazing at one of the cafes in the upscale C-Scheme neighbourhood such as Jaipur Modern Kitchen. Catch up on some reading or chat with friends as you sip on their signature beverages and munch on some salad. For dinner, you could head either to Steam (Mediterranean dishes) or Forresta (Indian cuisine) depending on what you want to eat.